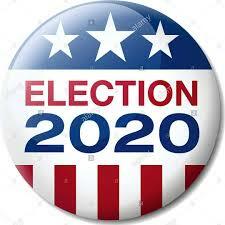 While the presidential election dominates election news, there are hundreds of other races up in 2020 that will impact control of the United States Senate and House, state houses and, potentially, the White House. There are 33 of the 100 US Senate seats up for election November 3, 2020. Republicans will be defending 22 seats, while the Democratic Party will be defending 12 seats. Alabama, Delaware, Illinois, Massachusetts, Michigan, Minnesota, New Hampshire, New Jersey, New Mexico (open), Oregon, Rhode Island and Virginia. Most are considered "safe" or "likely" Democrat, with the exception of Senator Doug Jones of Alabama, who is considered a "toss-up." Alaska, Arizona (Special), Arkansas, Colorado, Georgia, Idaho, Iowa, Kansas (open), Kentucky, Louisiana, Maine, Mississippi, Montana, Nebraska, North Carolina, Oklahoma, South Carolina, South Dakota, Tennessee (open), Texas, West Virginia and Wyoming. With almost twice as many seats up, the GOP is facing a number of serious challenges, with toss-ups in Colorado (Cory Gardner) and Arizona, where a special election will be held to elect the permanent successor to the late Senator John McCain. 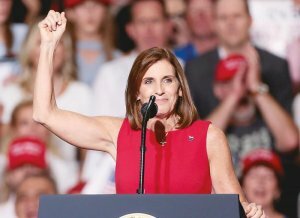 Martha McSally (R) is serving as the appointed interim Senator. Vulnerable or "lean" Republican incumbents include David Perdue in Georgia, Susan Collins in Maine, and Thom Tillis in North Carolina. There are three current vacancies in the US House, all previously Republican-held seats. A special election will be held May 21, 2019 in Pennsylvania's 12th CD, where incumbent Tom Marino (R) resigned in January to take job in private sector. In North Carolina's 3rd CD, held by Republican Walter B. Jones Jr. for twelve terms until his death on February 10, 2019, a special election will be held July 9, 2019. The third and most anticipated special, to be held September 10, 2019, is in North Carolina's 9th CD, which has been vacant since the beginning of 116th Congress following allegations of ballot-tampering in the 2018 general election. In February, the North Carolina State Board of Elections called for a new election, the first time in US history that a new election for federal office has been called for election fraud. The 435 Members of the US House are up for election every two years. Of those, 16-17 Democratic seats and just 4-6 Republican seats are considered toss-ups in 2020, putting the Democrat's new control of the US House in danger. Additionally, there are 4 Democratic Territory Governors and one Republican. There are eleven state and two territorial Governors races up for election in 2020. Coming Up: State legislative chambers and municipal races! Delaware, Montana, North Carolina and Washington State. Of those, Montana, where incumbent Governor Steve Bullock is term-limited, is the most vulnerable. The other three seats seats are considered safe or likely Democrat, including the open seat in Washington, which incumbent Governor Jay Inslee is vacating to run for President. In addition, American Samoa and Puerto Rico, both Democratic seats, are up. Indiana, Missouri, North Dakota, New Hampshire, Utah, Vermont, West Virginia. Most are considered safe or likely Republican contests, including Utah, where incumbent Governor Gary Herbert is retiring.